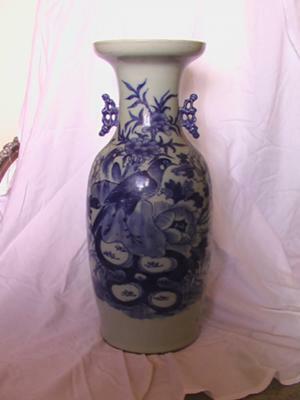 A now deceased family member bought 2 vases (this is one of a pair) in the 1970's, via connections with a trusted jeweller and collector friend. They were sold to her as ancient vases but we have no documentation. Background is not white, it is a very pale blue-grey. There is no glaze crackling. 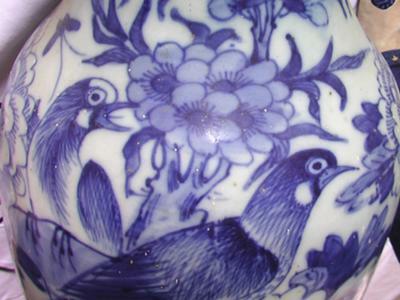 Blue bird and flower design is on front. Nothing painted on the back. I have more detailed close up photos if that helps. 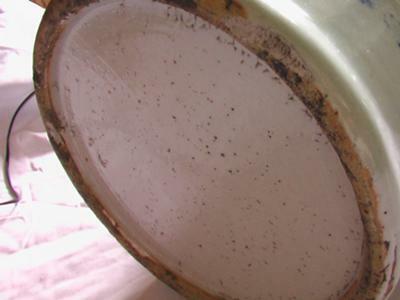 Do you have an idea of the age or era of this vase? It would be a good idea to provide a picture of the whole front image, in good lighting to see what is depicted. "very pale blue-grey" - this is actually positive. A very white glaze would make it a later product. The tone of the blue decoration points to a late Qing or later item. 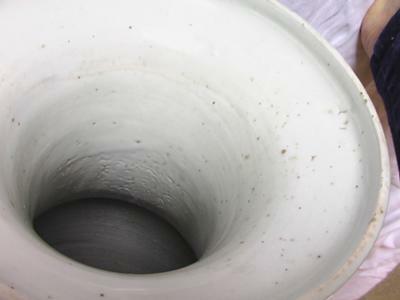 From the glaze, shape and age-related characteristics this appears to be a late Qing dynasty vase.